Holcim Australia (Holcim) has become the first concrete company in Australia to embark on developing Environmental Product Declarations (EPDs) for its Readymix Concrete. By establishing clearer life cycle assessment information, Holcim supports customers wanting to be leaders in the sustainable infrastructure and building industry. A range of EPDs, under the ViroDecs™ brand name, will be developed and registered under the Australasian EPD Programme in early 2019. The initiative constitutes a major investment in comprehensively analysing and communicating to customers the embodied environmental impacts of Holcim’s Readymix Concrete. Data was collected from across Holcim’s Australian operations, which includes over 190 concrete batching plants and 65 quarries in Australia earlier this year, to meet the rigorous data quality requirements in the ISO and EN standards for Environmental Product Declarations. The data will feed into an ISO14044-compliant Life Cycle Assessment (LCA), to be carried out by specialist practitioners and independently reviewed by an approved, third-party verifier. Holcim’s ViroDecs™ will be the culmination of this work: verified documents that detail the “cradle to gate” environmental impacts of Holcim’s Readymix Concrete. The development of a concrete EPD is a critical “missing” piece to having all key infrastructure and building products represented by an EPD. Its publication will support designers and developers to drive improved sustainable procurement and materials selection. Holcim’s ViroDecs™ also has the potential to challenge views on environmental sustainability, by supporting the standardisation and transparency of environmental claims. 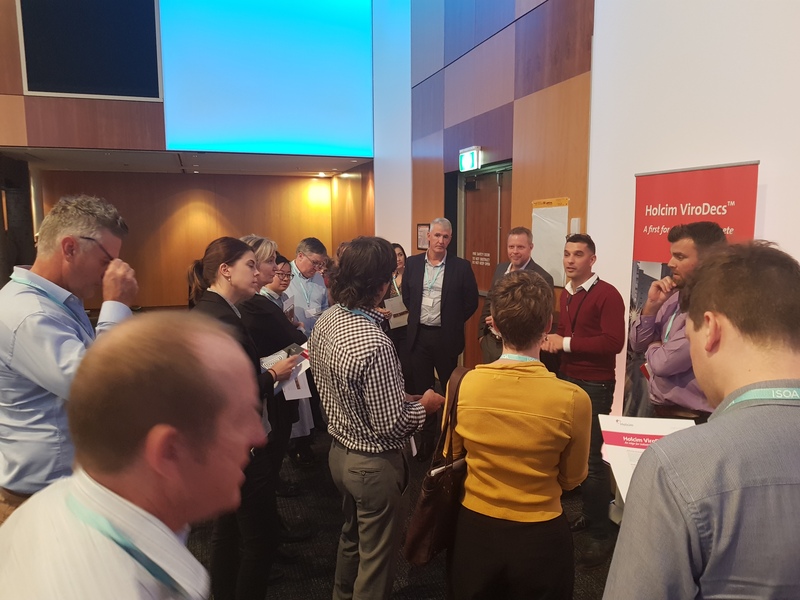 “The advent of Holcim’s ViroDecs™ will help shape the way the construction industry analyses the environmental impact of buildings and infrastructure in the future,” says National Sales & Marketing Manager Glenn Simpkin. Beyond providing greater transparency, Holcim’s ViroDecs™ also provide a rigorous, science-based framework for driving environmental improvement throughout Holcim’s sites and supply chains. It will lead the way for other concrete providers to follow suit, fostering a whole-of-life approach in the Australian building products sector. Holcim’s ViroDecs™ can be directly taken up by a range of existing tools and rating schemes. The data can be imported into digital industry tools such as eTool - a web-based Life Cycle Design app for the built form used by ESD designers and developers and the IS Materials Calculator, used to assess a project’s embodied GHG emissions from materials use and their Mat-1 IS points. EPDs can also be used to gain points under the Mat-2 credit of the IS Rating scheme and Credit 21 of the Green Star As Built rating scheme, which Holcim’s ViroDecs™ will enable for Readymix Concrete as an industry first upon publication. As a result, Holcim’s ViroDecs™ will offer an advantage to customers wanting to be leaders in the sustainable infrastructure and building industry, currently led by the Infrastructure Sustainability Council of Australia (ISCA), & Green Building Council of Australia. “The information from Holcim’s ViroDecs(TM) can be used by a range of our customers and their associates, from architects, engineers, developers and builders, to drive reductions in the embodied environmental impact of buildings and infrastructure at the design and specification stage,” says National Approvals & Sustainable Development Manager Cyril Giraud (maroon sweater, at podium). “The advent of Holcim’s ViroDecs(TM) will help shape the way the construction industry analyses the environmental impact of buildings and infrastructure in the future,” says National Sales & Marketing Manager Glenn Simpkin. 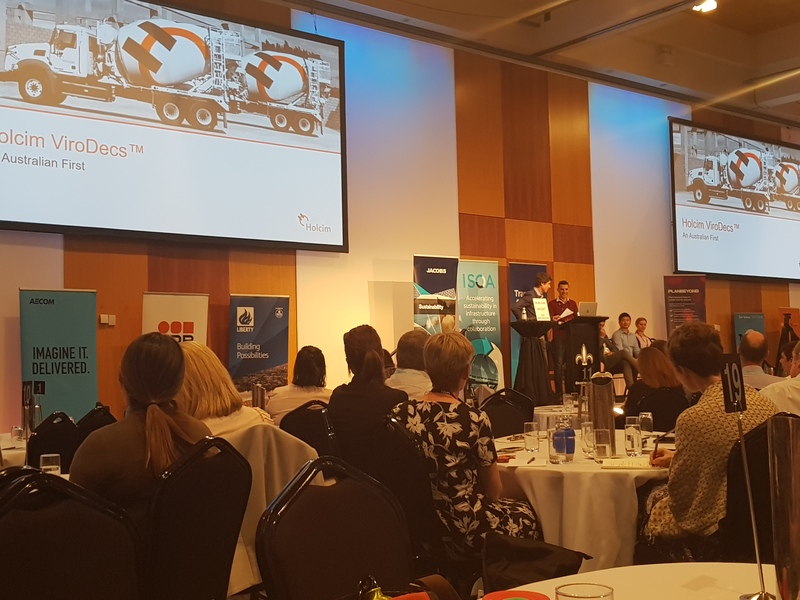 “Holcim’s ViroDecs(TM) set a very clear commitment to providing accurate and transparent environmental data for our customers and a framework for continued improvement on Holcim’s part,” says National Approvals & Sustainable Development Manager Cyril Giraud (maroon sweater, following presentation at the 2018 ISCA conference). 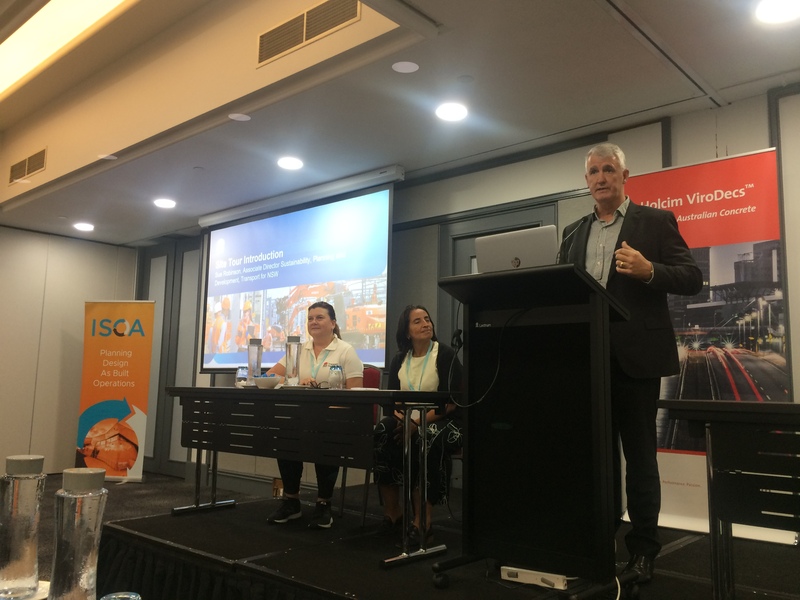 Holcim’s commitment to developing Australia’s first Environmental Product Declarations for readymix concete was presented at the ISCA Conference 2018 Innovation Panel. “The information from Holcim’s ViroDecs™ can be used by a range of our customers and their associates, from architects, engineers, developers and builders, to drive reductions in the embodied environmental impact of buildings and infrastructure at the design and specification stage,” says National Approvals & Sustainable Development Manager Cyril Giraud. “To build infrastructure and buildings that have a lower environmental impact requires smarter design, informed by accurate and relevant environmental data. Holcim’s ViroDecs™ set a very clear commitment to providing accurate and transparent environmental data for our customers and a framework for continued improvement on Holcim’s part,” says Cyril. Holcim is proud to announce the launch of ViroDecsTM, our new brand for Environmental Product Declarations (EPDs) and to be the first concrete company in Australia to provide an EPD for Readymix Concrete. The LafargeHolcim 2030 Plan incorporates sustainability targets across matters of innovation, climate, circular economy, water, nature, people and communities.